When we went to Ilocos, we tried to visit all the wonderful places there but 3 days is not enough 'coz there are so many beautiful tourist spots both in Ilocos Norte and Sur. 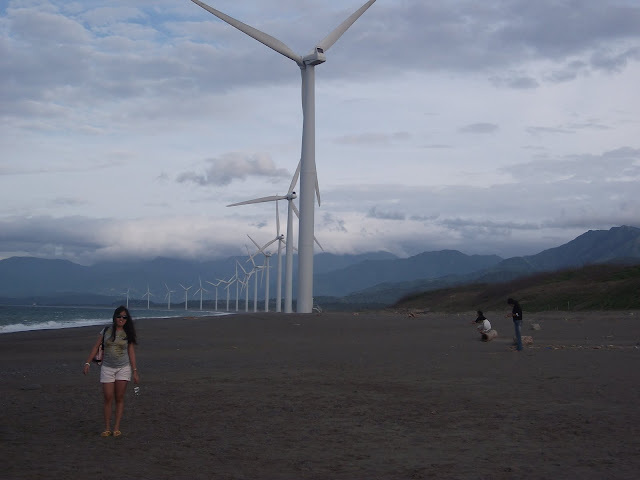 After enjoying swimming at Polaris Beach Resort, we headed to Bangui to see the famous windmills. It was very windy there and I couldn't really manage to fix my hair and it even irritated my eyes because of the sand that was carried by the wind so I really had to wear shades to protect my eyes. The sea was very rocky and the tide was strong so you cannot really go swimming there. Souvenirs!!! I bought a ref magnet since I'm collecting them. I buy a ref magnet everytime I go to an interesting place. The ones on the picture are pen holders. I don't know where exactly I was standing when I took this picture. 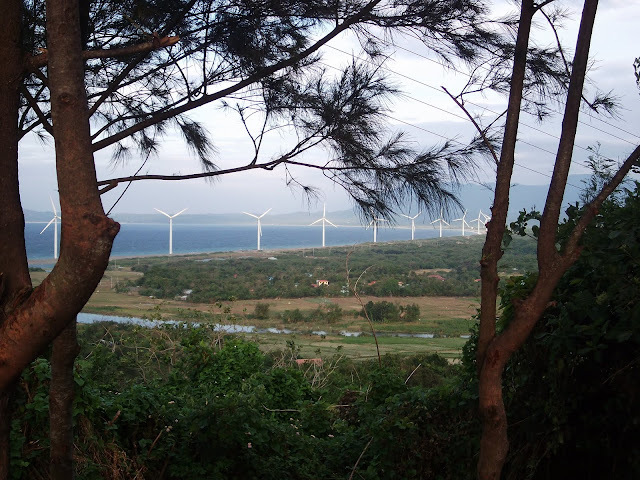 We already left Bangui Windmills that time. We just stopped in that place to buy honey. We were about to go to Cape Bojeador. 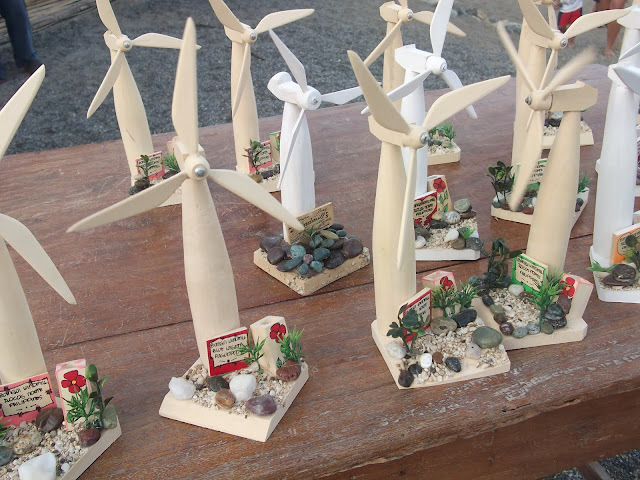 Finally, I've already seen the Ilocos' pride which is the Bangui Wimdmills. When I was there I could really hear the sound of the giant propellers while they were rotating. I think they are a great substitute to Nuclear Energy. 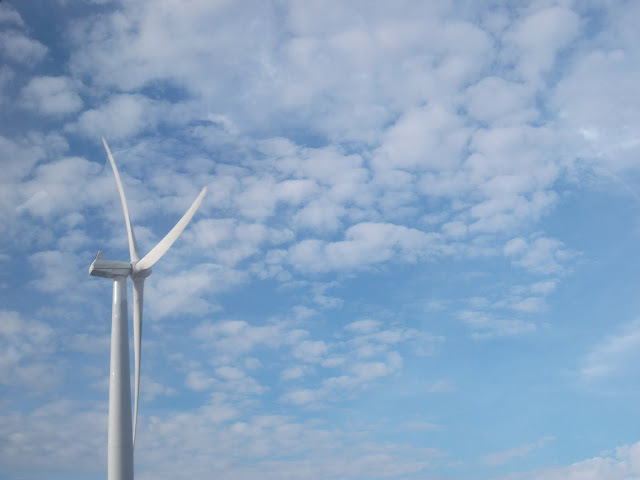 It has no radiation and it is environment friendly since it only uses the wind as the source of energy.